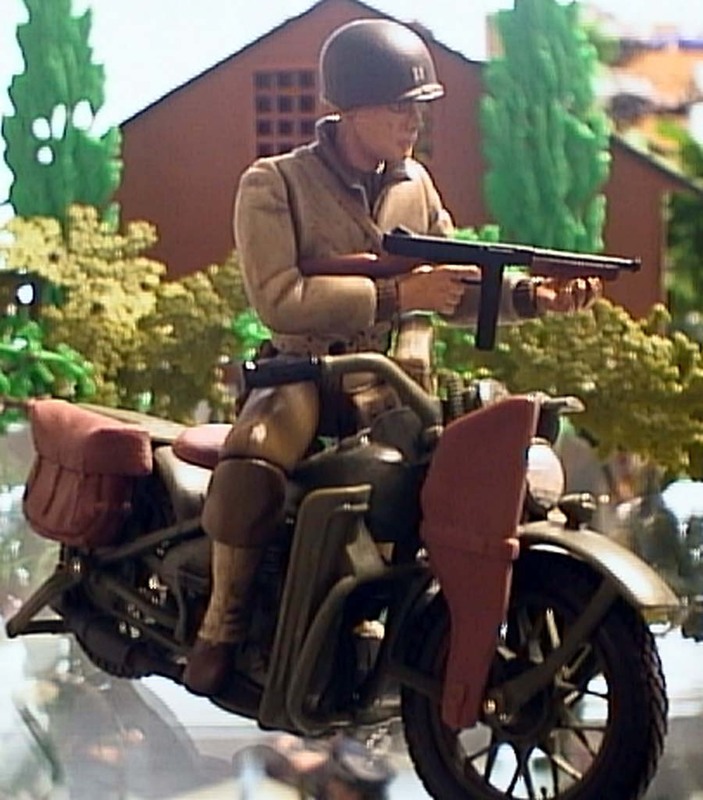 A combo of the Ultimate Soldier Extreme Detail and Maitso Harley Davidson WL42, a pretty good mix. 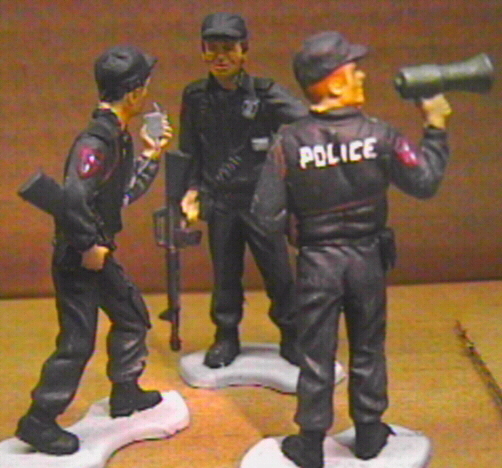 Tactical Officers from the Processed Plastic Company. 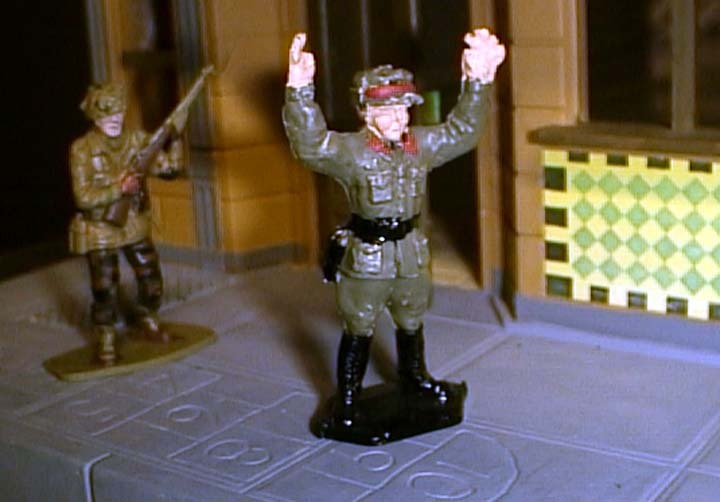 These are soft plastic figures. The process I use for soft plastics is to wash, undercoat(prime),paint(I use water-based paints), highlight (w/washes and drybrushing) and overcoat (I use dullcoat). 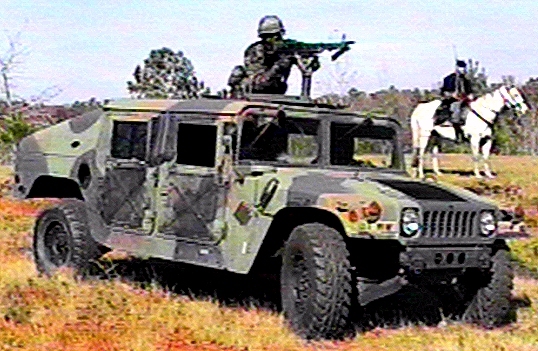 The U.S. Cavalry, Then and Now...click on the picture to get to my National Guard unit's website...Scout Platoon, 1/167th Infantry (M), The 4th Alabama. 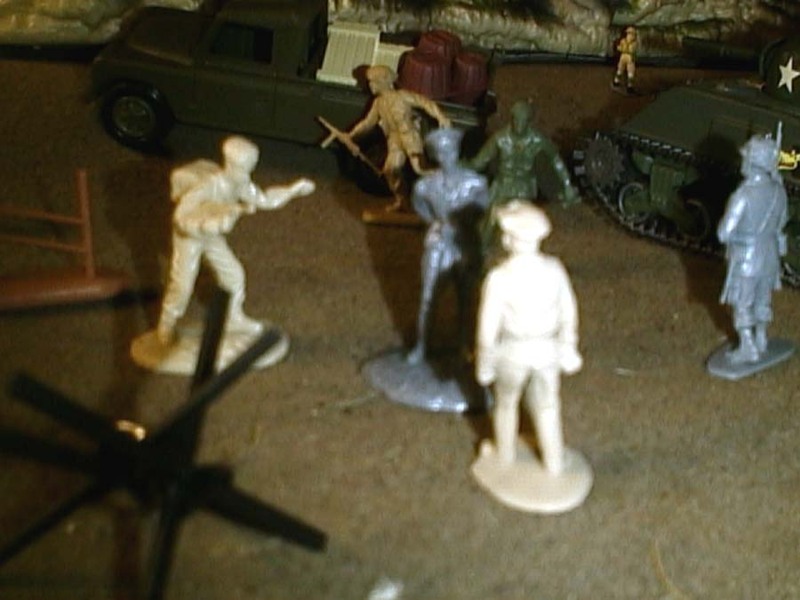 Another shot from the D-Day game,Rommel turns in his sword to Montgomery while members of Task Force Eagle and Task Force Monkey push inland to exploit the break-out. Figures: Airfix,Timpo, BMC, ESCI and PPC. A PAPCO football player. Painted to match Eagle24's football uniform. You needn't spend a ton of cash on your collection, just paint 'em nice. 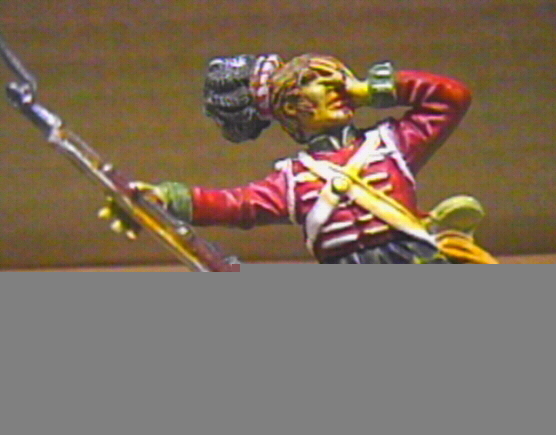 During a recent D-Day game with Eagle24 & Monkey06 this Airfix Brit Para captures one of Hitler's gang (Lone*Star figure). The game took about 6 hours to complete. 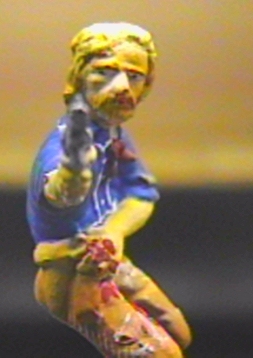 Colonel Custer near the end...the figure is a BMC Custer from the Little Bighorn set...BMC has hits and misses with their figures, Custer was one of their hits. Want to see more? visit the Outpost!